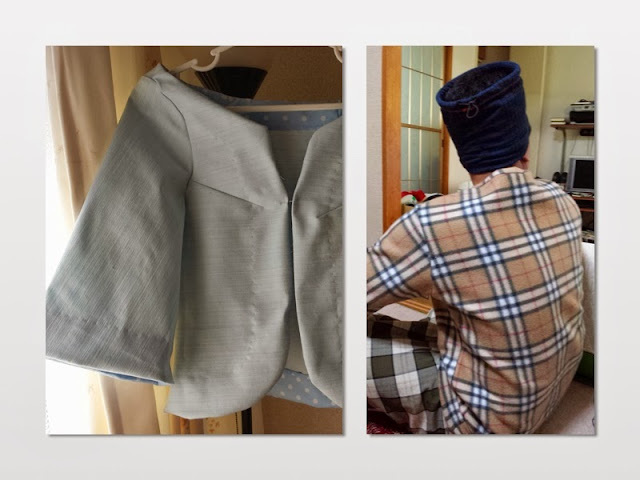 SUPERWANI: How to master sewing in 3 weeks! How to master sewing in 3 weeks! This time around, I managed to get myself familiar with..sewing! yey!! 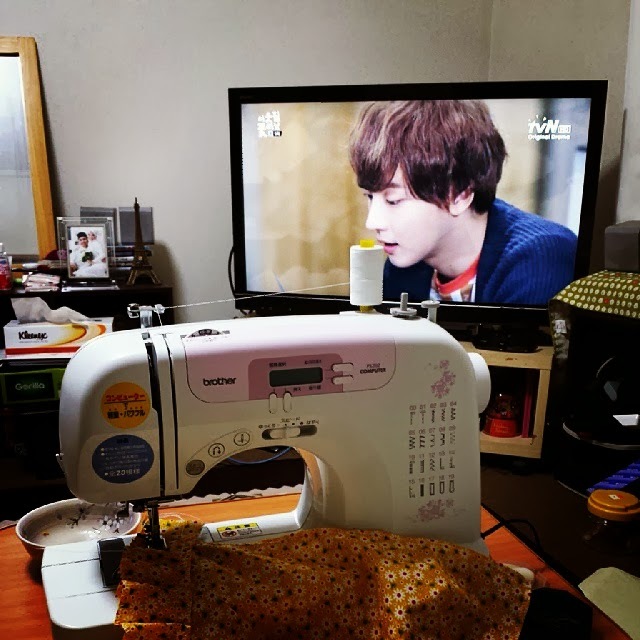 All my life, I have never use sewing machine. There was no one teaches me how to use machine. This maybe due to no one in my family is into sewing. So, I don`t know anything about sewing. Recently, I took 3 months break just to enjoy my life a bit. I have always in mission all my life, to complete one task after another, to fill expectations, and etc. So, I`m married, I guess I`m entitle to slow down and smell the flower for a while. Let husband worries about everything else for a moment. During the 3 months, alhamdulillah, I managed to get as many things done. This I put on hold just because life was in the way. One of it was of course the making of AkikoInc, and another major accomplishment in my life, I have to say is acquiring the skill of sewing. Being the best husband in the world, of course he is the biggest supporter for whatever I want to do. It is worrying though because sometimes he cannot differentiate whether I was just hallucinated or I was fully awake when saying things -_-" I hope I would never say "I think I would like to try jumping off the cliff..you know...just to get the feeling of adrenaline" Next thing I know..we are on a cliff somewhere -_-"
Ok, back to the sewing project. Here`s how to master sewing in 3 weeks! 1) Have yourself introduced to the machine you plan to buy. Of course, before everything else, you have to ask around for advice from people you know loves sewing. Better, someone who live for sewing. Don`t worry..they are everywhere and these people usually are passionate and bersemangat to answer any of your questions. I.LOVE.IT! No regret! The machine is so easy to use, and so friendly to a beginner like me! Now you have a machine ready. Now comes the best part. Shopping for materials. 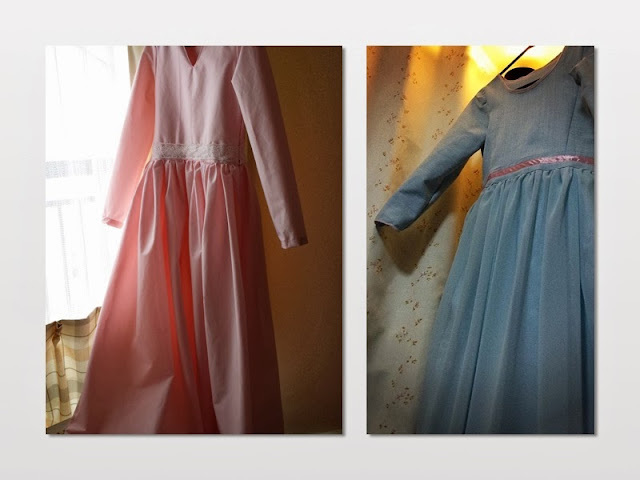 Before, I don`t appreciate fabrics other than those to make your baju raya. Like silk, chiffon silk, flowery cottons. All those cliche fabrics. Now, I know more, my eyes are going wilder whenever I step into a fabric store. Before, I only went to a level where there put japanese cotton to make baju kurung. Because that is all I know. Now, I started to appreciate fabrics other than them which is of course, not a good news to le husband. But I love it! I feel it it my mind that another DHA bridge is connecting. A skill that is not written in a book! I can now differentiate different kind of fabrics and how can I use them in different projects. I am so proud of myself. Husband also partially happy for now he has a new way to bribe me. This is the aftermath from my 3rd visit (major) to the fabric store. Otsukaya, I love you!!! This fabric store is definitely the deal breaker to live in Nagoya! 3) Familiarize yourself with the machine. I met some people who likes sewing and can sew but never handle sewing machine. These people usually don`t have clue how to handle a sewing machine. So, they don`t know what to expect. That`s why, for me and them, it is important to familiarize ourselves with machine. This is important to get the feeling how the machine works and of course experience is the best teacher. I too, made a lot of mistakes and that`s where I learn many tricks. 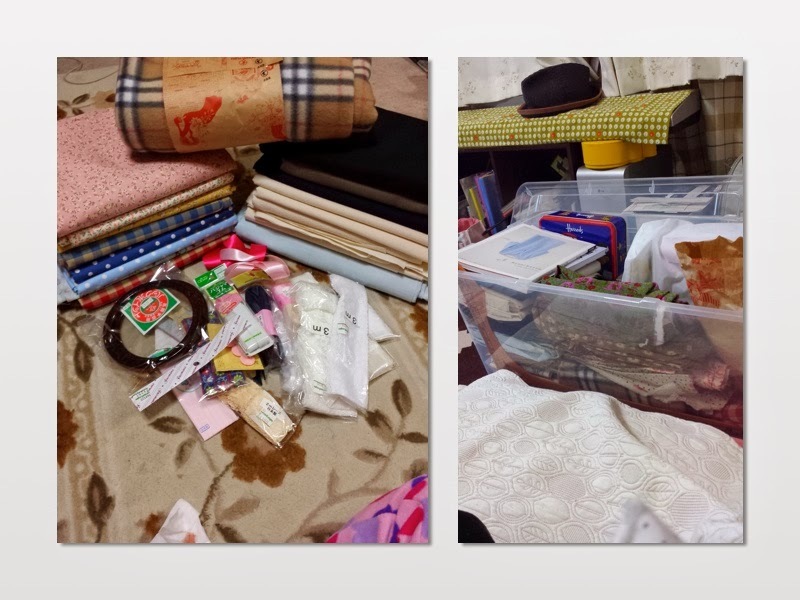 To familiarize, sew something easy like pillowcase, fridge`s cover, and the covers of everything that needs protection from dust (or you are just addicted to play with the sewing machine and decided to make covers for everything-that`s yours truly). After that, start sew something easy, for example, skirt! Another tip for a total beginner, is to always use cotton first. You know, the fabric is not cheap, so make sure you know what you are doing or it will be wasteful! 4) Buy a Japanese sewing book. This is the best shortcut ever! The best teacher for me. Everything is in the book, I tell you even a buta huruf person can understands it (of course..I can`t read kanji). I bought 3 books, but after completing one book, I sorta gets everything. Whenever I see a dress, I instantly get how it was done! I don`t know how it happened, but yes, tetibe je jadi pandai. And the urge to buy new clothes become the urge to make the clothes myself, the way I like it to be. I really love how the skills has turned me into. 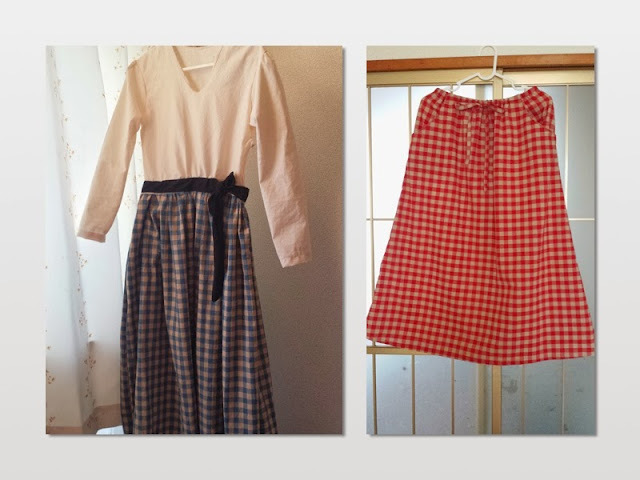 Top (left-right): wrap around skirt, bottom blossom skirt. Bottom: Ribbon back one piece (crop to make it a top). These are among the earliest product of my sewing project. A few of the tops I made. (L-R) Top: Slit back one piece (The back is so nice but I don`t have a nice picture to show), bubble sleeve top. Bottom: Cardigan (wrong choice of fabric, it ends up looking like a hospital wear), a tunic dress. 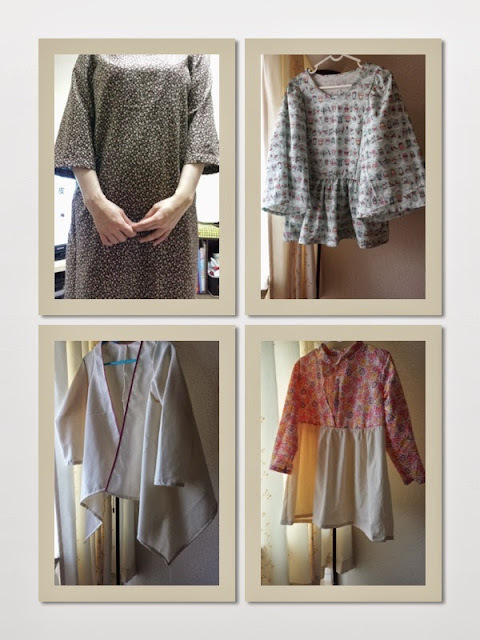 After doing the exercise from the Japanese sewing book, I started to understand the construction of a dress. All the tricks learned from the book, I used it to try making a dress from my imagination, using my own body as the mannequin. A satisfaction that is hard to get when you buy a ready-made dress! One of the earliest project based on imagination. After a lot of mistakes and re-construction, finally here is my checkered collection which consist of a maxi dress and a round-pocket skirt. Then I go higher by making two more maxi dress. 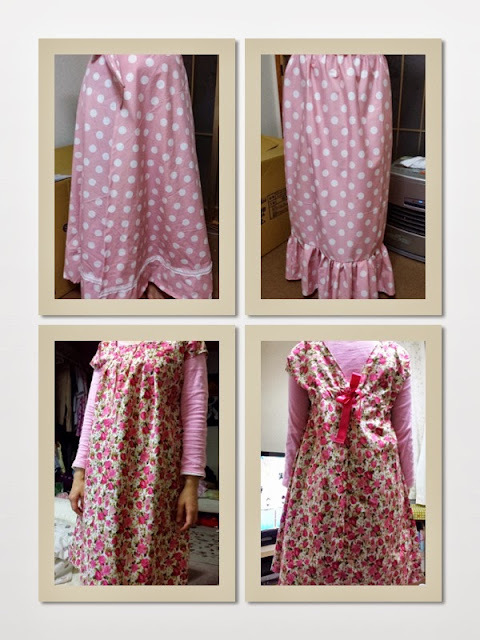 I love the Royal Iman from Love to Dress so much, so I made another one in soft pink. I made it! 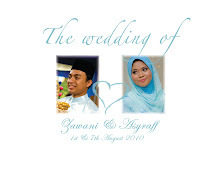 That one cost me roughly RM12 (kain only 3.5m and the kain costs me RM3/m) bahaha. After I gained confidence with the handling of the machine, and fabric cutting, I decided to get up the notch by using chiffon silk. Just because chiffon silk in Otsukaya are dirt cheap! Then when I don`t know what else to do (because I pretty much sewn everything I wish to), I started to accept orders. Yes, you read it right, I take orders. bahahah. Left is a wash jacket I made for...myself and Burberry inspired pyjama for none other than my naughty baby boy! He wears it all the time, and some people even complimented him for being so rich wearing baju tidur Burberry -_-" Now the secret is out! I only able to play with my machine for 3 weeks. Then I had to leave. Here I am now, in KL..working T_T another whole lot of story. tapi awak mmg kuros pon.ade perasaan lg nk wat lg kuros dpd diri sendiri -_-"
You never know if you never try.hihi.I never handle sewing machine in my entire life because I was raised in a house without any sewing machine.I think every girls born with the talent. You sure are too! Go buy one!